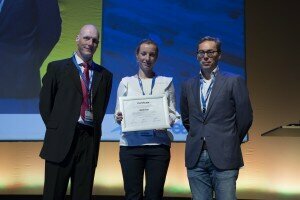 Research studies from Norway, Spain and Italy were selected as best unmoderated posters in prostate cancer research for presenting new insights in PCa treatment. 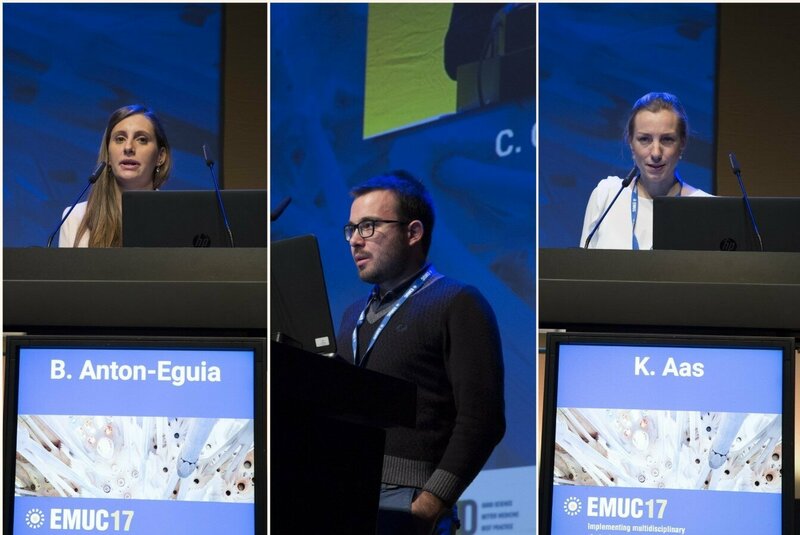 The second-day plenary session of the EMUC17 opened with the awarding of prizes to Kirsti Aas (NO) and colleagues, Beatriz Antón-Eguia (ES) and colleagues, and Carlo Cattrini and his team from Italy. 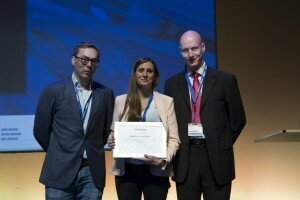 They won in the localised, advanced and general prostate cancer categories, respectively. The researchers aimed to aid the prediction of oncological outcomes and to guide therapeutic decisions patients with non-metastatic PCa are traditionally stratified into low-, intermediate- and high-risk groups (D’Amico/EAU Guidelines) with non-negligible heterogeneity within each risk group. They calculated 10-year PCSM and OM in 3449 patients diagnosed with non-metastatic PCa in 2004/2005 who underwent radical prostatectomy (RP, n = 913), radiotherapy (RAD, n = 1334) or no local treatment (NoLocTrt, n = 1202). Patients were stratified according to risk group, Gleason grade group (GGG) and ECOG performance status. The researchers concluded that for all patients, the 10-year OM was about three times higher than PCSM, the greatest and lowest discrepancies emerging among patients with low- and high-risk tumours respectively. The results support increased use of local treatment in high-risk patients. Gleason grade grouping should be implemented in clinical practice. The role of ECOG performance status as prognostic factor has to be validated in future studies. 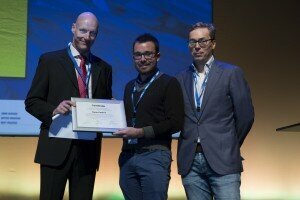 Author: Anton Eguia B.T., et al., Virgen Del Rocio University Hospital. Sevilla, Spain. The metastasic castration-resistant prostate cancer (mCRPC) scenario has recently changed due to the approval of Abiraterone (AA) and Enzalutamide (ENZ). In the near future, the number of elderly patients with mCRPC is going to significantly increase as a result of the global increase in life expectancy and the availability of life-prolonging treatments. The researchers aimed to compare the efficacy and safety of AA and ENZ treatment in chemo-naïve patients over and under 75 years old, outside of the clinical trial environment. The researchers concluded there were no significant statistical differences among groups in PFS, OS or incidence of AEs. “Therefore, this new treatment has a proven safety profile and survival improvement in elderly patients, just like in younger ones. In everyday clinical practice, elderly patients should be treated based on the results of careful geriatric and comorbidity evaluation, and should be not excluded from new treatments simply because of their chronological age,” the researchers said. Periostin (POSTN) is an extracellular matrix protein associated with prostate cancer (PCa) aggressiveness and progression. The investigators previously showed that overexpression and compartmentalization of POSTN on prostatectomy samples can define subgroups of patients (pts) with poorer outcomes. They scored POSTN expression by immunohistochemistry (IHC) analysis on 215 PCa biopsies using an anti-POSTN-specific antibody. A total POSTN immune reactive score (T-IRS) was calculated by summing the POSTN staining scores of stromal cells and epithelial tumor cells. “Consistently with our previous findings, higher POSTN expression on PCa biopsies is associated with more aggressive disease and with a higher risk of recurrence, progression and death. Standardization of IHC-based POSTN evaluation and further research on its role as a biomarker in PCa is warranted to integrate its use with other, already validated, prognostic indicators,” the researchers reported.